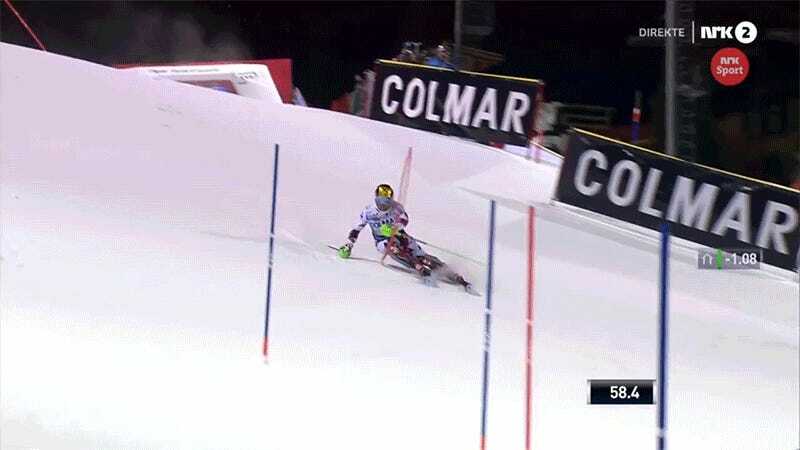 Four-time World Cup champion skier Marcel Hirscher was doing his thing in a slalom race in Madonna di Campiglio, Italy today, minding his own business, when he was almost smoked by a news drone. No word yet on why the drone fell. In 2014, an athlete in an Australian triathlon was injured when a hacked drone smashed into her face. In this incident, Hirscher avoided a collision, but it’s a reminder that it’s a bad idea to fly drones over sporting events.